It is a great pleasure for me to present to you the history of Kiltale Camogie Club one decade on. Special mention must go to our founding members who had the foresight and vision to establish the Club in 1997. Since its formation there have been tears, cheers, but above all, lots of laughter. The Club went through a number of transition phases down through the years whilst we waited patiently for some of the younger talent to make the breakthrough to the senior ranks. This is especially needed in a small parish like ours. All through the years we have had the support of the Hurling Club and without that support things would have been a lot harder. To Paddy Kelly Jnr thanks for the enormity of your efforts to make Kiltale Hurling & Camogie Club a better facility for everyone to benefit from. Whilst the history focuses primarily on our achievements on the playing field, we too have had great fun off the field. One remembers especially those famous Halloween parties in the Parish Hall where children laughed and laughed with water and flour covering every inch of them, including their Fancy Dress outfits. One cannot forget the amazement in the eyes of young children at the sight of fireworks lighting up the Kiltale sky-line at Halloween. Of course, though illegal, the fireworks display was organised in a competent manner, albeit on one occasion a certain person got their coat blown off when a firework exploded accidentally and then the coat was duly fired into the dug out and on top of the bag of un-ignited fireworks!! Of course we learned a lesson, better leave the fireworks to the young lads rather than the big boys!! I want to pay special thanks to a number of people who provided help in putting this history together. Thanks to the Gilsenan family for trawling the archives and coming up with material for the earlier years. To Mary Herlihy for searching my PC at work for photos & club reports. To Ann Mulligan for checking her attic. To the Mc Groader family for solving the mystery in 2001!! To Emer Lynch and Charlene Cooney for identifying some young faces in old pictures. To my husband Tossie whose memory worries me!! Lastly I want to thank Ann Gilsenan and Belynda Weldon for putting the booklet together. In conclusion, one cannot leave the past behind without mentioning the future. Already this year Louise Donoghue has helped Athlone IT to win the Purcell Cup, whilst Deborah Wigglesworth with her Trinity team mates were beaten in the Purcell Shield final. At the time of writing the Intermediate team are doing well in the League and as I am prone to do I am going to make a prediction that Kiltale will do the double this year by winning the Junior League and Intermediate Championship. All that is left for me to say is thanks to everybody who helped our Club in the last decade and I look forward with great anticipation to a wonderful next 10 years. And so this is how it all started…. Rumour has it that Kiltale Camogie Club was established as a result of a bad day at the office followed by a good night in Warrenstown Arms! A number of dedicated employees were already playing with our near neighbours Kilmessan but alas the saying “Far away fields are greener” isn’t always true. Ann Gilsenan and Marie Claire Hickey had slept with the enemy but decided enough was enough and so stemmed the start of the bad day at the office. 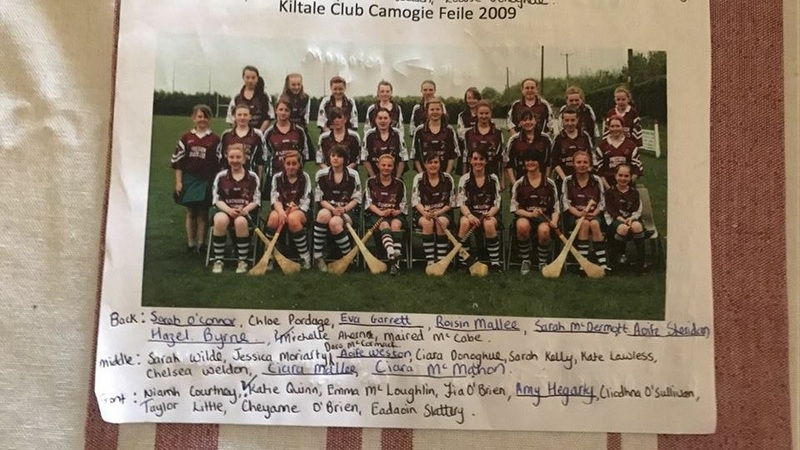 Kiltale Camogie Club was formed on the 23rd March 1997. Needless to say the team didn’t fare too well in their first year and if memory serves me right the loudest cheer (similar to that of a team winning the County Championship!!) was reserved for the only score of the year. Yes, it is not a typo, the only score of the year!! Back in 1997 the team consisted of family and friends and was known more for their social skills than their camogie skills. The trainers of the 1st camogie team were Louise Byrne and Gerard Brady. Great fun was had in 1997, so much so that word got out about it and thus enticed a few new players in 1998 and a new trainer Peter Farrell (also of Grange stock). In only the clubs 2nd year the girls managed to get to the county final where they were beaten by Navan O’Mahonys in the Junior Championship Final on a scoreline of 5-6 to 1-2. The Meath Chronicle described the Kiltale women as “gallant in defeat” and Marie-Clare Hickey was described as Kiltales “hit-woman”!! The team was as follows: Maura O’Leary, Vanessa Gaughan, Carmel Reilly, Deirdre Dixon, Martina Walsh, Ann Gilsenan, Shirley Dixon, Caitriona O’Leary, Donna Mc Gann, Marie-Claire Hickey, Freda Gilsenan, Evelyn O’Connor, Patricia Gilsenan, Rebecca Rooney, Mary Gilsenan, Wendy Mc Cormack, Niamh Mc Groader, Donna Kane & Deirdre Cummings. Back in 1998 Kiltale had only one underage team, an U-14 team who were defeated by Trim in the Plate final. The team was Jenny Dunne, Noreen Wiseman, Laura Bannon, Donna Kane, Leah O’Daly, Elizabeth Madden, Meave O’Reilly, Susan Madden, Evelyn Maguire, Sarah Lee, Sarah Bannon, Lisa Lynch, Paula Dunne, Katie Byrne, Louise Donoghue, Victoria Langrishe, Jennifer Mc Cormack, Theresa Kane, Elaine Reilly, Evelyn Dixon, Laura Wigglesworth, Aisling Carty & Jennifer Stephens. The Kiltale ladies went from strength to strength and in 1999 the team went one better than in 1998 when they captured the Junior Championship title from Donaghmore-Ashbourne in a “tense and tight” battle in Stamullen. The weather was brutal but it didn’t prevent Paddy “The Doc” Walsh out-witting his opposition and gave Freda O’Leary (formally Gilsenan) the honour of being the 1st winning captain in the Clubs history. Final Score was 3-2 to 2-3. The Kiltale team were: Maura O’Leary, Deirdre Smyth, Mary Smith, Laura Bannon, Deirdre Dixon, Donna Mc Gann, Caitriona O’Leary, Marie-Clare Hickey, Sinead Smith, Meave O’Brien, Ann Gilsenan, Freda O’Leary, Meave O’Reilly, Louise Adams, Patricia Gilsenan, Elizabeth Madden, Wendy Mc Cormack, Rebecca Rooney, Noreen Wiseman, Niamh Mc Groader, Ruth Adams, K Farrell, N O’Leary, Laura Wigglesworth, Jenny Stephens & Siobhan Kelly. After tasting the sweet smell of victory the Kiltale women went for the double in 2000 under the watchful eye of Aidan Devlin with Tossie Byrne as selector. Marie-Clare Hickey one of the founding members captained the team to victory over Kilmessan. The team were: Carmel Reilly, Mary Smith, Evelyn Dixon, Ann Gilsenan, Patricia Gilsenan, Decorah Wigglesworth, Elizabeth Madden, Lisa Lynch, Donna Mc Gann, Caitriona O’Leary, Niamh Mc Groader, Louise Donoghue, Regina Heslin, Sarah Bannon, Theresa Kane, Ann Fitzhenry, Deirdre Dixon, Jane Wigglesworth, Elaine Reilly, Meave O’Brien, Meave O’Reilly, Marie-Clare Hickey & Sinead Smith. Louise Adams was lying in Navan Hospital on final day but needless to say the celebrations made there way from Trim to Navan Hospital and back to Warrenstown Arms! The underage teams had no success in 2000 but the Minutes of the AGM note “The underages-with no victories during the year, still went out in every match full of life and enjoyed every minute of every game! !” Also appearing on the minutes of the same AGM (and I am sure if we could locate minutes of previous years AGMs) was Emer Lynch. Emer has been the resident First Aid Officer for the Club since its inception. Many people may not be aware that she also trained the underage teams in the early days. But don’t ask her to play- that is a step too far for Emer! 2001 saw the emergence of the Kiltale underage teams as a force to be reckoned with. The U-12 team won their first ever tournament, the Donaghmore-Ashbourne Camogie Blitz. Kiltale entered two teams on the day and the winning team included Jane Walsh, Louise Donoghue, the Courtney sisters Sheila & Aine, Ciara Cummins, Seana Devlin, Aoife Crone and Clare Mc Loughlin. They beat near neighbours and rivals Kilmessan by 1 goal in a closely fought encounter. Kiltale were represented in the U-12, U-14, U-16, Junior & Senior Championships. We won the U-14 Shield and U-16 Championship for the first time ever. The U-14s beat Naomh Padraig in the final and the day was made most memorable by Deborah Wigglesworth been awarded “Most Valuable Player”. The Club newsletter noted that “the U-16 decider against Kilmessan saw one of the finest displays by any Kiltale team”. The team was : Jenny Rispin, Deborah Wigglesworth, Ruth Ennis, Evelyn Dixon, Jane Wigglesworth, Elaine Reilly (Capt), Meave O’Reilly, Doireann Collins, Susan Madden, Jenny Dunne, Sarah Bannon, Theresa Kane, Elizabeth Madden, Louise Donoghue, Sheila Courtney, Aoife Crone, Rachel O’Connor, Alanna Madden, Andrea Pearle, Anna Conlon. Team trainer- Louise Byrne. After winning the Junior Championship two years in a row, the adult team played in the Senior Championship but alas found the going too tough for this young team. The format of the Championships in 2001 allowed the bottom teams to revert to the Junior Championship and Kiltale did not disappoint and duly obliged by beating Kilmessan in front of a large crowd in Dunsany to retain the Junior Championship for the 3rd year in a row. Tossie Byrne was team trainer and the team was: Sinead Smith, Deirdre Dixon, Donna Mc Gann, Niamh Mc Groader (Capt), Meave O’Reilly, Jane Wigglesworth, Marie-Clare Hickey, Carmel Reilly, Doireann Collins, Gillian Scott-Aiken, Jenny Rispin, Evelyn Dixon, Louise Byrne, Deborah Wigglesworth, Shirley Dixon, Ruth Ennis, Lisa Lynch, Patricia Gilsenan, Ann Gilsenan, Elizabeth Madden & Louise Donoghue. This was the first year the club had a “Senior” team in it’s full meaning, in that there was no back door to the Junior Championship. Definitely the going was a lot tougher. The team were narrowly beaten by Trim and Killyon but well beaten by Kilmessan in the preliminary rounds. The Club reached the finals of the U-12, U-14 and U-16 Championships. The U-12 and U-14 teams were in hard luck after being beaten by Kilmessan in both Championship finals. The U-12 team were: Jane Walsh, Keara Brennan, Shauna Devlin, Sheila Courtney, Aine Courtney, Rebecca Mulligan, Ciara Cummins, Fiona Madden, Cliona Martin, Sarah Whelan, Bebhinn Harnan, Alanna Madden (Capt), Helen Lawless, Danielle Slattery, Aoife Crone, Lauren Lawlor, Afra Schilder, Lynn Ennis, Clare Mc Loughlin & Evonne Harnan. The U-14 final needed a replay to decide the outcome. Kiltale, despite leading up to the last minute in the first match and leading at half time in the replay, were beaten by a Kilmessan team that showed true grit and determination to defeat Kiltale. The U-14 team were Jane Walsh, Fiona Madden, Emily Brennan, Aine Courtney, Ciara Cummins, Sheila Courtney, Andrea Pearle, Louise Donoghue (Capt), Rachel O’Connor, Rebecca Mulligan, Deborah Wigglesworth, Aoife Crone, Alanna Madden, Kayleigh Byrne, Sarah Whelan, Seana Devlin, Cliona Martin & Keara Brennan. Tossie Byrne and Michael Costello trained the Senior team in 2002. Emer Lynch, Grainne Harnan, Fiona Lawless and Louise Byrne trained the younger club members. This year proved successful on a number of fronts. Although we did not win any Championships we reached the final of the U-12 and U-16 competitions. We were very unlucky not to win the U-12 Championship. Kilmessan pipped us by the narrowest of margins after a thrilling final in Trim. In the U-14 Championship our girls were beaten by Ratoath after a replay. In the U-16 final Kilmessan proved too strong for us. The Senior team found the going tough against the likes of Kilmessan and Killyon in the Championship and longed for another year to go by so that some of the young guns could make the step up. For the first time ever we held our own friendly tournament for the ‘Glenburnie Cup’ which was kindly donated to the Club by Lynn & Ger Lyons. Blackhall Gaels ran out winners of this competition. Feile na nGael was hosted by Meath, Westmeath & Kildare. Kiltale participated for the first time ever and were unlucky to be placed in Division 1 (God knows why!!). We hosted Athenry who were a splendid team both on and off the field. The girls were competitive in their games against the Clare champions & Delvin from Westmeath. Team trainers for 2003 were Tossie & Louise Byrne, Grainne Harnan, Emer Lynch & Fiona Lawless. Again we had another very successful year in 2004. This year we reached the U-12 semi-final, the U-14 Championship final and most importantly we won the U-10 and U-16 titles against our old rivals Kilmessan! We also performed very well at senior level reaching the Senior Championship semi-final. The Club welcomed Pat Kane on board as Senior trainer. The team had a good run in the Senior Championship beating Blackhall Gaels and Donaghmore-Ashbourne but failed to overcome Kilmessan & Killyon. The last game of the pre-lims was against Trim which proved to be a cracker but Trim managed to shade Kiltale. Nevertheless the team reached the semi-final for the first time ever but our near neighbours defeated us once again. This year saw a historic victory for the Meath Minor team in capturing the Leinster Minor B Championship. Kiltale were represented on this team by Louise Donoghue (centre back), Deborah Wigglesworth (centre forward; 2-4 personal tally), Alanna Madden wing forward) and Fiona Madden. The U-16 team won the County Championship beating Kilmessan by 2 points in an exciting final in Longwood. The Clubs newsletter read “This was an all-round excellent team performance. Praise must go to the full back line that endured serious pressure in the dying minutes of the game. Every Kiltale supporter had their hearts in their mouth. A special word of thanks to Paddy Durnan for doing a wonderful job as umpire !!! Thanks to Tossie Byrne and Marie-Clare Hickey for training the team”. The team was Jane Walsh, Bebhinn Harnan, Alanna Madden, Rebecca Mulligan, Sheila Courtney, Louise Donoghue, Ciara Cummins, Emily Brennan, Andrea Pearle, Fiona Madden, Deborah Wigglesworth (Capt), Niamh Tucker, Louise Fagan, Rachel O’Connor, Aoife Crone, Sarah Whelan, Aine Courtney, Danielle Slattery, Cliona Martin & Katie Byrne. The U-10s won the Donaghmore-Ashbourne blitz with a superb performance. They didn’t concede any score throughout the tournament. The team was captained by Ciara Donoghue. This same team went on to win the double by winning the County U-10 blitz. The U-10 winning team was captained by Lauren Lawlor. Feile na nGael once again came to Meath and this time Kiltale hosted Kiltegan from Wicklow. The Club still found the going tough but got great experience playing better teams. Needless to say a great weekend was had by all. The Glenburnie Cup was won by Delvin beating Kiltale in the final. The Club had another reasonably successful year in 2005. I say reasonably because whilst we competed well in competitions, we didn’t win any County Championship or League. We reached U-14 Championship semi-final, the U-16 Championship final and the Senior Championship semi-final. Killyon beat us in U-14 Championship semi-final and Kilmessan beat us in the U-16 final. The U-10 retained their Blitz title in Donaghmore-Ashbourne and did so without conceding a score. If ever there is a team for the future, this is it: Emma Mc Loughlin, Niamh Courtney (Capt), Sarah Kelly, Ciara Donoghue, Fiona Crone, Cheyanne O’Brien, Kate Lawless & Kerry Lyons. The Kiltale U-14s did us proud in the Feile na nGael in Cork. Our hosts Watergrasshill turned out to be our bogey team and it is unfortunate that we had to play them as soon as we got off the bus (perhaps we should have flown down!!). The team beat Newtownshandrum and Na Piarsigh in the Group stages and were very unlucky not to qualify to the semi-finals. The team was captained by Rebecca Mulligan. Trainers were Grainne Harnan, Donna Mc Gann and Tossie Byrne. 2005 Feile Team – click to enlarge. 2005 saw the Senior team going through a period of transition with very low numbers of players. Despite great effort by Pat Kane we failed to field in the semi-final (incredible but it’s true) due to a number of players being away on holidays and others out injured. Needless to say there was a fairly hot and heavy Club meeting after that fiasco!! Delvin retained the Glenburnie Cup. The year started off brightly with the U-11 team winning the Gormanston Indoor Camogie Tournament. The team put in some excellent performances over the 6 weeks. With the following bright stars on the horizon we can look forward to a good future. The team was: Sarah O’Connor, Emma Mc Loughlin, Katie Quinn, Fiona Crone, Ciara Malee, Kate Lawless, Ciara Donoghue, Dara Mc Cormack, Niamh Courtney, Cheyanne O’Brien, Sarah Kelly, Kerry Lyons, Cliodna O’Sullivan & Louise Lawless. After the disappointing end to the 2005 season at Senior level, the Club was re-graded to Intermediate. Still going through a transition phase, the Club managed to consolidate its position at this grade under the watchful eye of Paddy Walsh. At underage level, we fielded in all Championships except the U-14 grade due to a lack of numbers in this grade. Our U-16 team fared best over the season and at the time of writing our girls are training hard under Tossie Byrne & Grainne Harnan for a semi-final encounter against Killyon (the final stages of the 2006 U-16 Championship was deferred until March 2007). The team is captained by Sheila Courtney. Louise Donoghue brought great honour to herself and her Club by being nominated on the 1st Greenstar Camogie team. This is due recognition for the endless time Louise has spent practising camogie down through the years. The Club was fortunate to get in some new trainers at underage level this year, namely, Ann Gilsenan, Sinead Smith, Sinead Mc Groader & Belynda Weldon. Despite efforts to organise our friendly tournament, the Glenburnie Cup was not played for in 2006. Kiltale welcomed Charlene Cooney, a Tipperary native into our Club and not only did she bring her camán, she also brought a wealth of enthusiasm for Scór. Charlene as the Clubs Scór Officer guided young entertainers along the way. Our most notable success was in 2004/05 when Sheila Courtney was crowned County Champion in “Recitation”. Sheila was successful in the Leinster semi-finals but unfortunately was beaten in the Leinster Final. Junior League Champions – Kiltale Camogie Club got back to winning ways by capturing the Junior League Title back in April. The girls beat a strong Donaghmore/Ashbourne team on a scoreline of 2-6 to 2-5. This was the first adult title for the club since 2001. Kiltale’s trainer TJ Kane had prepared the team well in advance of the final. Kiltale did not have it all their own way and were well down at half time, some shrewd moves in the midfield and half forward line turned the game right around. Half way through the second half the Kiltale women were down by 7 points but with excellent team play and a diving goal from Jenny Rispin in the dying minutes pulled the Kiltale team ahead by 1 point. The winning team was: Jane Walsh, Lisa Lynch, Charlene Cooney, Aine Courtney, Alanna Madden (Captain), Shirley Dixon, Sinead Mc Groder, Fiona Madden, Sile Courtney, Jenny Rispin, Sinead Smith, Maeve O’ Reilly, Donna Mc Gann, Louise Byrne, Belynda Weldon, Behinn Harnam, Laurna Weldon and Louise Donoghue. When the Intermediate Championship started confidence was high in the the Kiltale Camp especially after the league win. Kiltale remained unbeaten after the first round of championship matches and looked set to reach their second final of the season. It took a replay and extra time for the 2007 Intermediate Championship to be decided with Blackhall Gaels coming out on top on a scoreline of 5-7 to Kiltales 3-7. Despite the defeat the Kiltale women took a lot of positives out of their 2007 campaign. With a lot of you.nger girls making the jump to the senior rank, the club was looking forward to 2008. The team was: Jane Walsh, Deirdre Dixon, Charlene Cooney, Sinead Mc Groder, Alanna Madden (cpt), Fiona Madden, Maeve O’ Reilly, Louise Donoghue, Sheila Courtney, Debra Wigglesworth, Louise Byrne, Donna Mc Gann, Sinead Smith, Emily Brennan, Jenny Rispin. U-21 Championship where Kitale were drawn in the final to await the winners of a play-off between Dunboyne and Kilmessan. Dunboyne produced an impressive performance in defeating Kilmessan and in doing so sent out a clear marker to Kiltale that unlike in the preliminary round the final wasn’t going to be as smooth. Indeed it wasn’t, after missing numerous goals and point chances in the first half of the final Kiltale found themselves fighting an up hill battle against a very hungry and determined Dunboyne team. The Dunboyne team ran out comfortable winners on the score board. Juvenile teams despite great efforts by trainers Sinead Mc Groder and Sinead Smith, the juvenile section suffered from a shortage in player numbers. Kiltale did not have numbers to compete in the U-8 county blitzes and where we did field teams, lots of times Kiltale competed without a full compliment of players. A lot of the U-12 girls played in the U-12 & U-13 Championships and these same girls were narrowly beaten by a point by Dunboyne in the U-14 Shield Final. Green Star selection was awarded for a second year in a row to Louise Donoghue. Louise had a superb year wining a Purcell Cup medal with Athlone IT, selected on the Leinster Camogie Team who won the Junior Inter-provincial title and also a regular member on the Meath County Team who performed so well in 2007. After suffering defeat to Dunboyne the previous year Kiltale were on a mission to get it right and win the Intermediate Championship in 2008. TJ Kane was the trainer and was supported by selectors Tommy Cummins, Alan Rogers and David Reilly. Kiltale made it through the championship and earned themselves a well deserved spot in the final where they faced Navan O’ Mahony’s. Kiltale got off to a great start and dominated the possession stakes in the opening half. However they failed to make their superiority count by firing 11 wides over the hour. The second half was more exciting and both sides gave it their all however it was heartbreak for Kiltale as Navan O’ Mahony’s ran out winners on a scoreline of 1-6 to 1-5. The team was: Jane Walsh, Laurna Weldon, Deirdre Dixon, Belynda Weldfheightfon, Shirley Dixon, Fiona Madden, Alanna Madden, Louise Donoghue, Andrea Pearle (Cpt), Sheila Courtney, Louise Byrne, Sinead Mc Groder, Jenny Rispin, Sinead Smith, Debra Wigglesworth. 2008 AIB/O’ Neills Meath Green Star Camogie nominations were awarded to two Kiltale players Andrea Pearle No. 9 and Debra Wigglesworth No. 13. 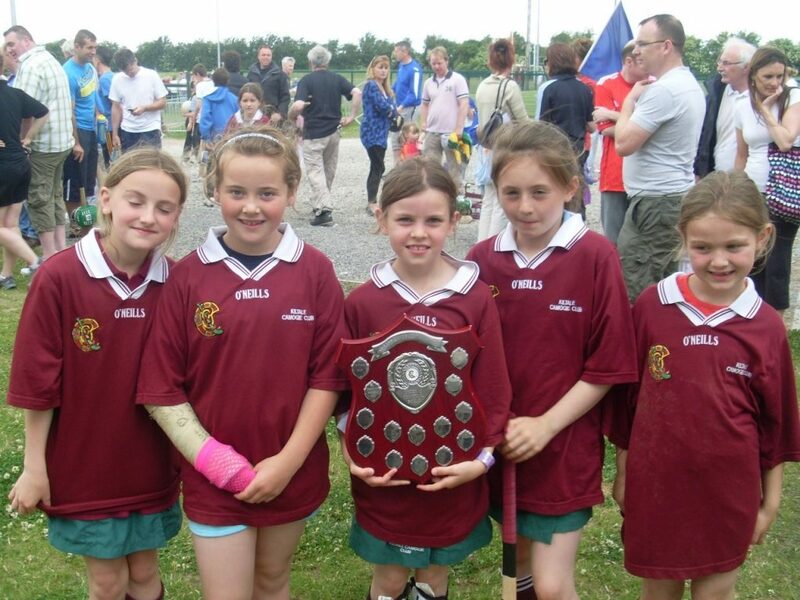 Kiltale Camogie hosted an U-8/10 blitz on 23rd August 2008 and it proved to be a success with 4/5 other clubs attending. There was no way Kiltale were letting it slip this time! 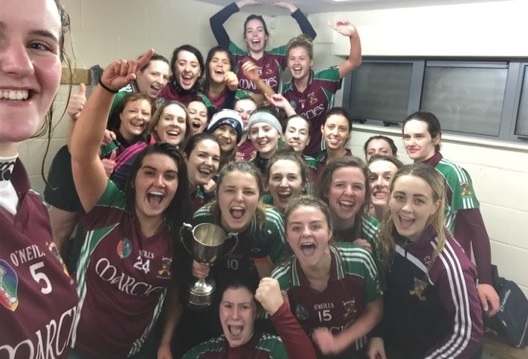 When the opportunity came to claim the Meath Intermediate Championship title presented itself for the third successive year they grabbed the chance with both hands. Again with TJ Kane and Tommy Cummins at the forefront they had ensured that silverware was comning home this time and were not in the mood for letting another chance slip. From the off it was obvious that they were the vastly superior side. It was a totally dominant performance from Kitale with Debra Wigglesworth and Louise Byrne causing untold problems in defence whilst Louise Donoghue and Sheila Courtney dominated midfield and Fiona Madden marshalled her defence superbly. The winning team was: Jane Walsh, Rebecca Mulligan, Elaine Reilly, Laurna Weldon, Emily Brennan, Fiona Madden, Alanna Madden, Louise Donoghue, Sheila Courtney, Andrea Pearle, Debra Wigglesworth (Captain 1-6), Jenny Rispin, Sinead Mc Groder (0-1), Louise Byrne (1-4), Donna Mc Gann (1-0). Kiltale reached their first All Ireland Club final, where they represented Meath in the Feile na nGael in Laois/Offaly. They emerged victorious from the group stages of the competition after defeating Birr-Offaly, Glenealy-Wicklow and Drumcullen/Lusmagh-Offaly. Kiltale got off to a flying start with a comprehensive win against their hosts Birr, final score 3-9 to 0-1. Next battle was against the much fancied Drumcullen/Lusmagh, final score 3-2 to 2-1. Kiltale needed to win their last group match against Glenealy, Wicklow to ensure a semi-final spot. The final score was 2-3 to 2-2, emotional scenes as Kiltlae had reached a National Semi Final for the first time in the their short club history. Cheyenne O’Brien had the honour of leading her team otno O’Brien Park, Tullamore for the Division 3 All Ireland Final against the Kerry County Development t4eam. Club V County, nevertheless Kiltale weren’t over awed. This was a great match with outstanding performances from Cliodhna O’ Sullivan. Kerry loaded their back line and thwarted Kiltale attacks. Kiltale were guilty of missed opportunities from frees which proved to be the difference between Kerry and Kiltale. Kerry emerged victorious by the narrowest of margins to take the All Ireland title from the Kiltales grasp. The Feile Panel included: Niamh Courtney, Katie Quinn, Emma Mc Loughlin, Fia O’ Brien, Amy Hegarty, Cliodhna O’ Sullivan, Taylor Little, Cheyenne O’ Brien (Captain), Jessica Moriarty, Dara Mc Cormack, Aoife Weston, Ciara Donoghue, Sarah Kelly, Kate Lawless, Chelsey Weldon, Ciara Malee, Sarah O’ Connor, Chloe Poradge, Eva Garrett, Roisin Malee, Sarah Mc Dermott, Aoife Sheridan, Hazel Byrne, Michelle Ahern, Ciara Mac Mahon, Eadoin Slattery and Sarah Wilde. One week after returning from Feile the girls were narrowly beaten in the County final by Dunboyne. The loss of Cliodhna O’ Sullivan within 5 minutes of the start of the game had a massive impact on Kiltale’s performance. The Kiltale u-14 team plus Evonne Harnan made up the U-15 team and put in some great peformances to get to the County final. Ratoath went into the final as strong favourites but Kiltale put it up to them every step of the way. Unfortunately lady luck didn’t shine on our girls and they recorded their third defeat in a final in 2009. There was a lack of players to compete in these competitions during 2009. 2010 was an interesting year for the club both on and off the field. The trophy cupboard was not as full as the previous few years, but there was some success. The U-10’s Kiltale camogie team took on Na Fianna in Trim GAA to win the U-10 Shield Final, a great team with so much potential – the future looks bright. The team was: Grace O’ Connor, Sinead Maher, Kate Madden, Rachel Mc Dermott, Marie Keane (Captain), Mary Kate Kiernan, Leah Gilsenan, Sophia Payne, Shannon Mulligan, Rachel Garrett, Ailbhe Hacket, Niamh Sheridan, Meabh Aherne, Claire Madden, Ella Jackson, Ellen Farrelly, Annie Madden, Andrea Hiney, Jane Hughes, Emily Gilsenan, Fay Mulreid and Michelle Mc Nally. Our U-15’s maintained their Feile 2009 2009 form and an outstanding panel won their competition with an emphatic win over Dunboyne. Success against Dunboyne had eluded this panel over the previous three years and this made it an even sweeter victory. Our Senior team found that moving up to the senior ranks presented real challenges in both the League and Championship. Coming up against experienced, extremely fit teams, many containing County players proved too much, although, in fairness, some matches were very close and could have just as easily been won than lost. A special thank you to Adrian & Georgia O’ Halloran who sponsored our senior jerseys. Competition for the year started with indoor Camogie in Gormanstown for the U8’s. A large panel of U-8’s attended and although the competition were stronger they put in good performance. The U12’s put in tremendous work and went on to finish in second place. Two very successful blitz days were held in Kiltale in August and September, followed by a back to school blitz in September finishing off with a Halloween party in October. The U-12’s right up to the U-15’s teams struggled this year due mainly to lack of numbers available. The senior team were relegated to intermediate and although did not come through the intermediate there is a good panel of players for 2012. Kiltale U-8’s and U-10’s had a very enjoyable day at the annual Meath underage blitz. Both teams played three games each, each team winning two out of their three games. All players should be commended for their hard work. The intermediate team started intensive training in February which paid off with a very successful year with a Intermediate Championship win over Ratoath and a Intermediate League win over Navan eventually taking place in December. Great win for the girls for their hard work and commitment throughout the year. Special thanks for Brian Coughlan who trained the girls and made sure they were in the right frame of mind to contest the double. Special thanks to Marcies for their generosity in providing food and drinks for the team. Dunshaughlin CC won the Leinster Schools Camogie Final against New Ross, Wexford on a scoreline of 6-8 to 5-3. Kiltale was represented by Fia O’ Brien, Sarah Wilde, Chloe Pordage-O’Halloran and Eadaoin Slattery. All Ireland Premier Junior Camogie Final was held on September 16th 2012 where the Meath Camogie Team took on Down and beat on a scoreline of 1-11 to 1-9. Kiltale was represented by Louise Donoghue and Cheyenne O’ Brien. Moynalvey Ladies won their football Junior Championship Final against Dunsany. A number of our camogie girls represent Moynalvey in the football. Kiltale participated in Gormanstown and were able to enter a team in the U-11’s and U-13’s. Whilst there was no winners the U-11 Team were awarded the most improved team of the competition. A camogie blitz was held on Saturday 11th May in Dunderry. The U-8’s were successful winning all their matches. 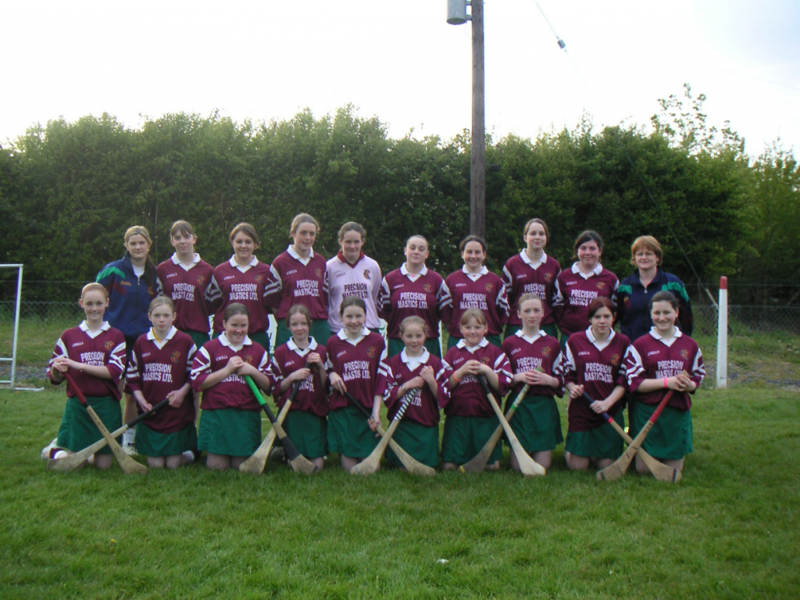 The Kiltale camogie girls attended a skills day in May 2013 which was held in Kilmessan. The girls had an opportunity to get a photo with the Liam Mc Carthy Cup. A great day was enjoyed by all. Fiona Madden represented Kiltale as player and Brian Coughlan as Kiltale Camogie Manager of the Meath Junior B Team who won their All Ireland final, they defeated Kerry on a scoreline of 2-4 to 1-5. May 2014 and Kiltale undertook to bring Hurl Smart Week to the club, this initiative encourages skills activities and competitions for the U-8’s, U-10’s, U-12’s and U-14’s ending with a match for the U12 girls and boys. Many thanks to Jessica Moriarty for organising this event. Donaghamore Ashbourne held an underage blitz to mark the 110th Anniversary of the Camogie Association, Kiltale sent an U-8 team to compete in this competition. The U-12’s participated in a blitz in Tullamore, this U-12 team was made up largely of U-10 players however this didn’t deter them and the girls performed impressively against Na Fianna who had fifty nine girls on their panel. The U-13 team took on Drumree in the U-13 Final and played their hearts out. Kiltale ran out the derseved winners in the end. A great achievement for everyone involved. The senior team struggled to find their momentum this year and were finding the competition tough. The faced a relegation play-off match in late October against their rivals Blackhall Gaels. Despite having nearly all the possession in the first half they ran out of steam in the second half and bowed out of the Senior competition. Kiltale were not officially relegated to regroup and play in the Intermediate Championship in 2015. Fia O’ Brien represented Kiltale on the Meath Minor which won their All Ireland Final against Armagh, the girls recorded a historic win of 1-13 to 0-5. Chloe Pordage represented Kiltale in the U-16 Meath team in the Leinster Final on a scoreline 2-9 to Meath’s 1-7. The Kiltale U-13 team were crowned League Winners in 2015 after an epic battle against Clan Na Gael in Dunganny, Again a super performance by the girls who never gave up and battled until the end. After the relegation defeat in 2014 the Intermediate Camogie team were determined they were going to win the Championship and put in place a plan to achieve such a dream. They enlisted the help of John Davis Jnr as manager/trainer and selectors Declan Little, Sean O’Brien and Ann Mc Cabe. This was going to be a good year, training started in the middle of January 2015. John set out his three aims – to win Summer League, win Intermediate Championship and to get to the semi final stages of the Senior League Competition. Kiltale claimed the inaugural Summer League Competition with a win over Killyon in late August. Kiltale then went on to win the Intermediate Championship after a tough battle against Boardsmill in atrocious weather conditions. Kiltale would emerge with a one point victory. This team managed to secure a semi final place against Dunboyne in the Senior League Competition. The game did not go as Kiltale would have liked but they put up a good fight against Dunboyne whose experience earned them a victory. So after a long year including 13 championship matches, 7 summer league games, 4 senior league games and 66 training sessions Kiltale ended the season achieving all three aims and two pieces of silverware. The winning Intermediate team was: Shirley Dixon, Mairead Mc Cabe, Katie Little, Sarah Kelly, Taylor Little, Fia O’ Brien, Jessica Moriarty, Chloe Pordage, Sinead Donnelly, Ciara Mallee, Eileen Connelly, Aideen Smith, Ciara Donoghue, Louise Donoghue, Cheyenne O’ Brien, Roisin Mallee, Georgina O’ Reilly, Alanna Madden, Jane Walsh, Fiona Madden and Donna Mc Gann. Fia O’ Brien was vice captain of the Minor B Team who won their 3rd All Ireland Final, Meath played Derry and the final scoreline was Meath 4-6 to Down 2-10. Kiltale participated in Gormanstown and entered teams in the following age groups: U-10, U-11, U-12 and U-13. The U-12 team finished a close second in their group but the U-13 were very successful and won out the competition with some fanstastic displays – they were unbeaten throughout the competition. The U-12’s team took part in the Caman to Leinster Blitz which was held in Abbotsown in May. The girls played really well in all their matches and enjoyed the day immensely. The Kiltale U-13 team performed throughout the year to earn themselves a well earned place in the U-13 Feile Semi Final. The semi-final against Navan O’ Mahony’s took place in damp, cold conditions on Sunday 4th December in Boardsmill. The Kiltale girls played an excellent game and kept with a strong Navan side right up to half time. It was a great team performance and proved all their hard work was paying off as it was their first year in U-13 Division A. The U-13 panel included: Aaliyah Clancy, Juileann Comey, Grace Dehaene, Emily Drum, Laoise Gillic, Orna Hiney, Amy Lawless, Liz Lawless, Nora Jean Lenehan, Sadbh Maher, Emily Martin, Eimear Mc Cabe, Etain Mc Carthy, Chloe Mc Cormack, Rachel Moran, Ciara Mulligan, Clodgah Murhpy, Roisin Murphy, Olivia O’ Halloran, Rebecca Quinn, Ciara Sinnott and Sarah Swan. The U-14 team was in the A competition and despite having a young team competing they were very competitive throughout. The U-15 team had only three games in their competition and failed to qualify but the effort and commitment they showed especially in their last match was fantastic. As Kiltale were unable to field a minor team they amalgamated with Drumree to contest this competition. Unfortunately due to the amalgamated team being unable to field against Boardsmill they exited the competition earlier than expected. The senior championship really got going after Kiltale’s clash with Na Fianna, this match was a ‘must-win’ for Kiltale if they were to have any hopes of reaching a semi-final. Na Fianna were already through to the semi-final. Kiltale seemed to coast through the game and at one stage were 7 points down however as the light started to fade in the second half the Kiltale team clicked together and pulled off a one point victory. This earned them a spot in the Senior Championship Semi Final against their nearest neighbours Kilmessan. Semi-final was a disaster and the Kiltale team just did not perform. They were outclassed by Kilmessan who went on to win the Senior Championship. Improvement for Kiltale as they had reached a senior semi-final, the first senior semi-final ever but showed how much work and commitment is required to win a senior championship. Louise Donoghue, Cheyenne and Fia O’ Brien made history when the Meath Camogie Team won their Division 2 National League Final against Galway. They also won the Leinster Championship Final against Aughrim and Louise Donoghue was awarded ‘Player of the Match’. Kiltale participated in Gormanstown and were able to enter teams in the U-10’s, U-11’s, U-12’s and U-13’s. Credit must be given to the players who had to double up to make up the teams which were entered, every girl gave everything for the duration of the competition. Overall the U-12 team came third in their competition and the U13 came second in theirs. Special thank you to Eddie Mulligan, Denise Ashe, John Donoghue and Alanna Madden who were all involved with the teams. The U-14’s made it through to the Division B final which was played against Killyon. Unfortunately lady luck was not on their sides and they were beaten on the night. The U-16 team treated us to two fanstastic matches against Donaghmore/Asbhourne in the U-16B Final. The first game Kiltale seemed to be running away with the match but their opponents came back to give it to a draw. This draw resulted in a replay only four days later. The replay was a very physical match but Donaghmore/Ashbourne proved to be too strong for this team which was made up of mainly U-14 players. Hard luck to all the girls involved. The senior team are in the middle of both the senior league and championship. I would like to extend sincere thanks to the all those who gave generously to the club down through the years. Our first ever sponsor was Warrenstown Arms who backed us up in 1997 & 1998. 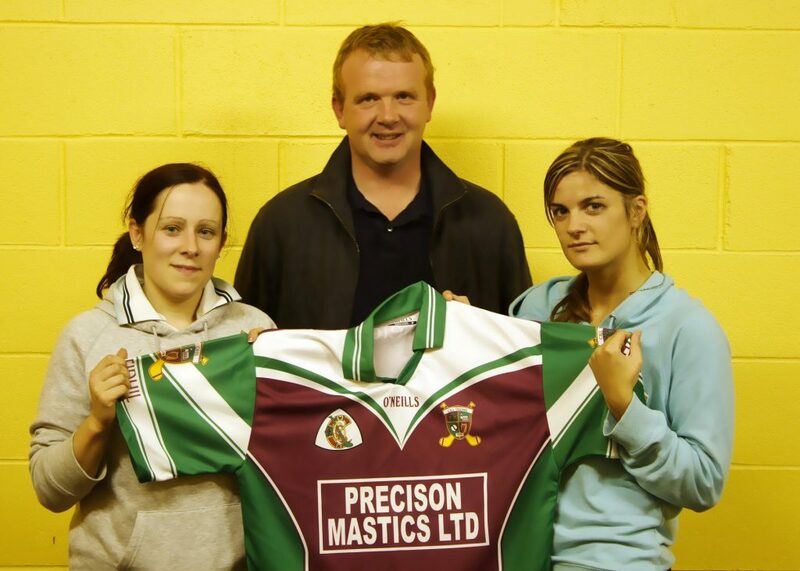 However since 1999, Gerry Reilly of Precision Mastics Ltd, has been our main sponsor. The club is indebted to your support and the support of many others. During the Clubs short history Kiltale National School have benefited from the underage training structure in the Club. The school won the Cumann na mBunscoile competition a number of years. Representatives from Kiltale NS also were selected to play in Croke Park as part of the Mini-7s series. The Club is indebted to a number of people who have washed our smelly jerseys & skirts down through the years. Special thanks to Maureen Gilsenan and Emer Lynch.